Welcome to Alaska, the magazine of life in the Last Frontier. Founded as The Alaska Sportsman in 1935 (renamed Alaska in 1969), we bring readers first-hand adventure stories, top-notch wildlife photography, and in-depth articles about all things Alaska. This is the world’s only general interest magazine about Alaska and only Alaska. From bears to sea otters to caribou and moose, from salmon to halibut to rainbow trout and whales, from bald eagles to puffins – to ducks of every feather, from biking to hiking to camping and RVing, from birding to wildlife viewing to mountain climbing and unique festivals, Alaska covers it all with award-winning depth, color and action. Alaska magazine explores life on the Last Frontier as no other publication does or can. To have your subscription delivered to your home please complete the following form and we’ll get you started right away! Click here. 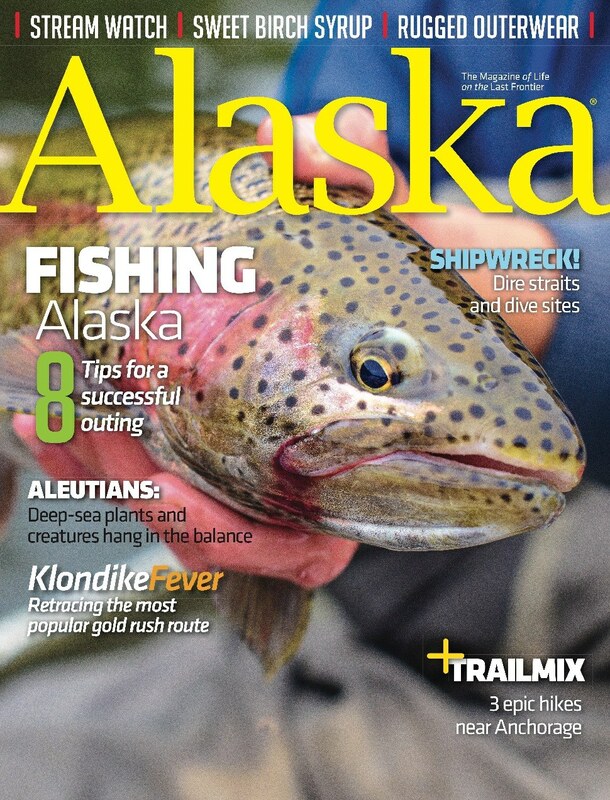 If you would like to give a gift of Alaska magazine to a friend or family member, click here. Subscription expiring soon? If you are looking to renew your existing subscription click here. To subscribe on your iPad and Android devices click here. Call 800-288-5892 for more information. Click here to receive the magazine of life on the Last Frontier.